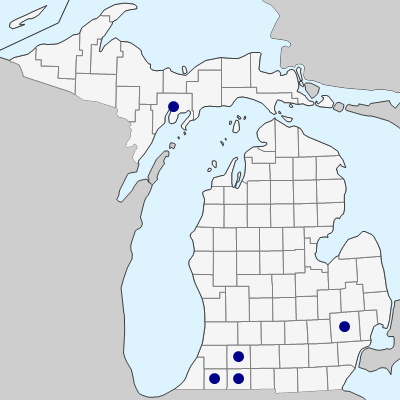 A prairie species barely ranging into Michigan, where it is found on prairie remnants, including those along railroads; on a limestone bluff with Andropogon in Delta Co. Some plants from Washtenaw Co. mapped as V. palmata are close morphologically to V. pedatifida and are presumably of hybrid origin. MICHIGAN FLORA ONLINE. A. A. Reznicek, E. G. Voss, & B. S. Walters. February 2011. University of Michigan. Web. April 24, 2019. https://michiganflora.net/species.aspx?id=2791.